Chicago History Happened Here: 2126 N. Sheffield Ave.
Chicago has many unmarked historic sites. The building at 2126 North Sheffield Avenue is another of these. In September ’01 the hunt for America’s most wanted terrorist ended here. No, that wasn’t 2001 in the aftermath of the September 11 attacks. We’re talking about 1901. The alleged terrorist was Emma Goldman. She was accused of conspiring to murder the President of the United States. On September 6, in Buffalo, President William McKinley had been shot and seriously wounded. The gunman was an anarchist named Leon Czolgosz. He told police that he’d been inspired to his deed by Emma Goldman. At 32, the Russian-born Goldman was already famous–or infamous–as an organizer and promoter of radical-left causes. Czolgosz had heard her speak in Chicago the previous July. The two had talked briefly, then gone their separate ways. Chicago officials believed that the plot to kill the president had been hatched right here. Six of Goldman’s associates were arrested. Goldman was thought to be in St. Louis. Before police could act on this information, they received a new tip–Red Emma was on her way to Chicago! Goldman arrived by train, but the cops missed her. Meanwhile, they’d staked out some of her known haunts. 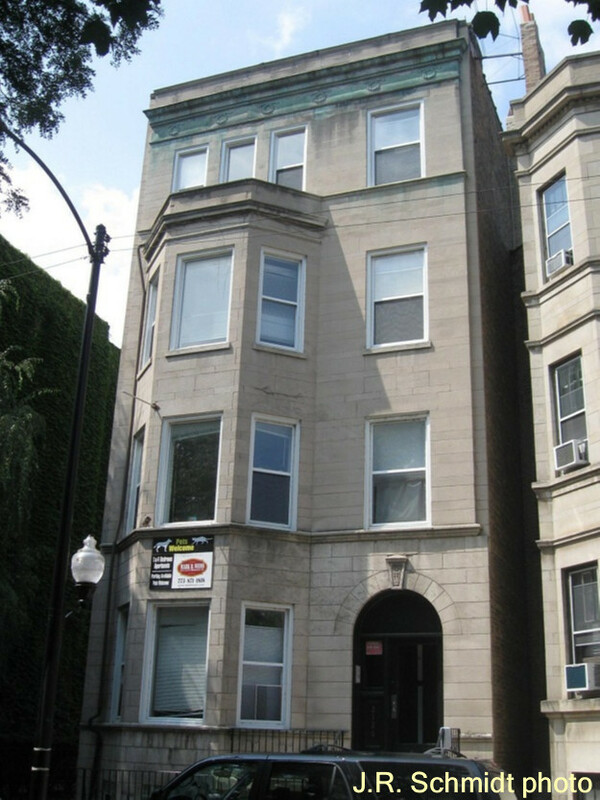 On the evening of September 9, a woman fitting Goldman’s description was seen entering the flat on Sheffield Avenue. She remained inside. Shortly before noon the next day, the police moved in. The suspect was in an apartment on the third floor. While one officer knocked at the door, another climbed in through the window. They found a tiny, mild-looking woman sitting peacefully in a rocking chair, smiling at them. 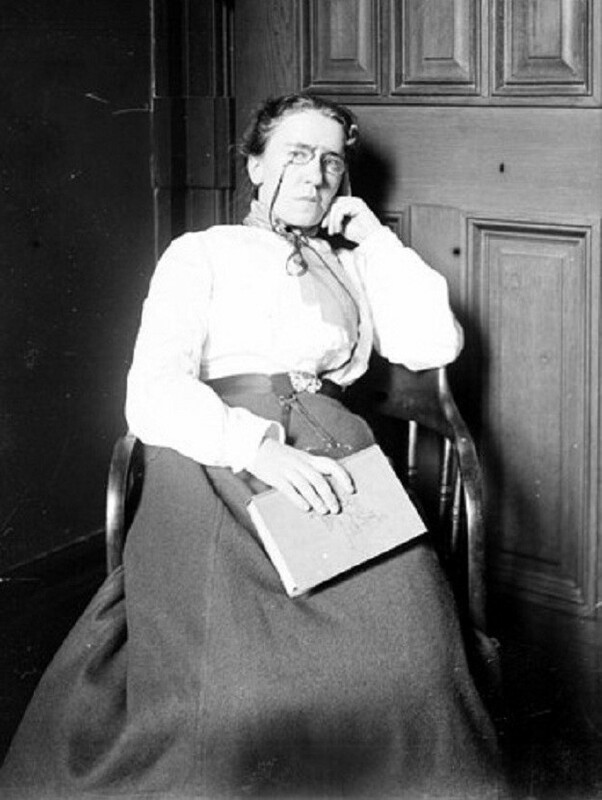 At first the woman denied she was Emma Goldman. That didn’t last long. Admitting her identity, Goldman went quietly along to the Harrison Street lockup. In less than an hour, newspaper extras were on the street, announcing the capture of the most dangerous woman in America. Goldman was questioned about the McKinley shooting. She wasn’t troubled by it, and she wouldn’t condemn Czolgosz. But she had only met Czolgosz that one time. She wasn’t part of any conspiracy. McKinley died on September 14. Six weeks later, Czolgosz was executed. No evidence was found linking Goldman or her associates to the crime, and they were all released. Emma Goldman was deported from the United States in 1919. She died in Canada in 1940. Her remains were returned to Chicago, and her grave is in Forest Home Cemetery in Forest Park.